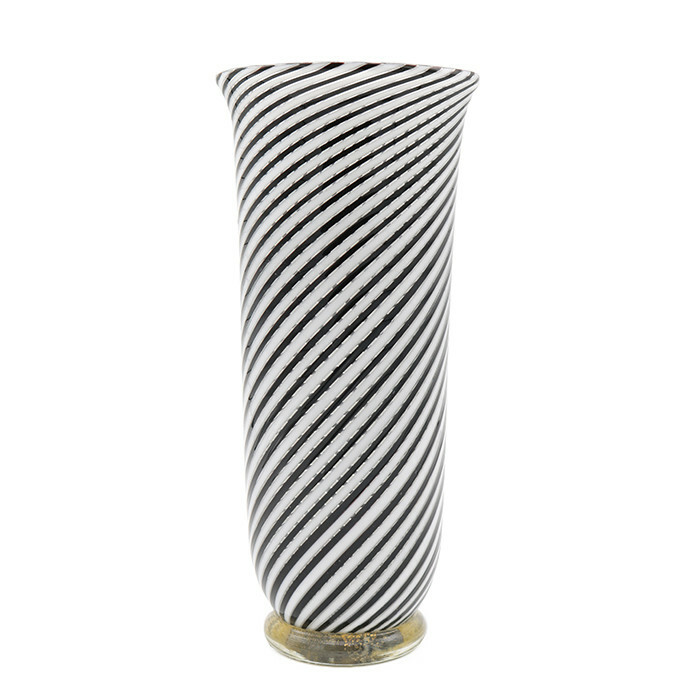 ' Mezza Filigrana ' Murano glass vase by Dino Martens. Clear glass, fused ribbons, white and dark purple, base with fused gold foil. Marked: Maker's label. Dimensions: H:9½ Diameter: 4½ Inches.